Travelling Man is one of my first stops for comics and graphic novels as they always seems to have just what you want on the shelves and also have a good selection of games and toys in stock. They currently have four stores around the UK in Leeds, Newcastle, York and my local store in Manchester which is great and manages to compete with the Forbidden Planet Megastore which is located across the road. I would probably put the success into the effort they put into have staff who know there comics, weekly game nights and pretty awesome comic book signings. 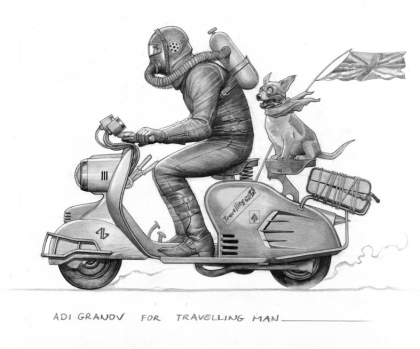 With comic book signings from the industry innovators such as Adi Granov who reinvented the modern Iron man which has sculpted the comics and movies it isn’t surprising that they have great roots in the UK comic book scene. Although Travelling man has a great selection of stores on the high street they have recently opened an online store to go with the official Travelling man blog.